As most of our customers know the new Carb Lev ll and Tier 3 regulations are taking effect on January 1st, 2006. Even though there are many facets to these regulations, the one constant in all of this is the ruling as to what fuel line our customers are to use when connecting the on-board fuel tank to the generator. For towable units with installed Onan generators the Low Permeation hose listed in Onan's California Certification must be used. These hoses have been approved by Carb as presented by Onan for use in these applications (R7 for Carbureted, R9 for Fuel Injected generators). 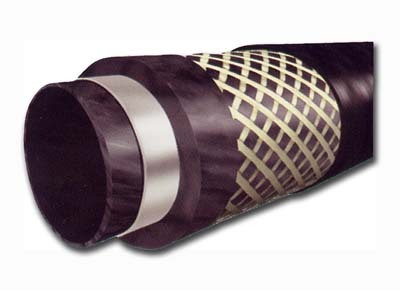 One of the approved hoses for this application is made by Avon Automotive (Executive Order #G-05-018). This Executive Order number will be printed on the hose. By using other brands of hose not listed in Onan's Certification your company runs the risk of not passing the Carb inspections and a hefty fine ($10, 000 per unit) to boot. Call Pelland Enterprises to make sure the hoses you need are available, or for more information concerning this or any other issue your company may have concerning Carb Lev ll or Tier 3 issues.